Ever since an accident turned her into a knockout vamp, Elvi Black's been catching her z's in a coffin, staying out of the sun, and giving up garlic. She knows there's more to being undead than what she saw in Dracula, but she can't very well ask her mortal friends about proper biting etiquette. 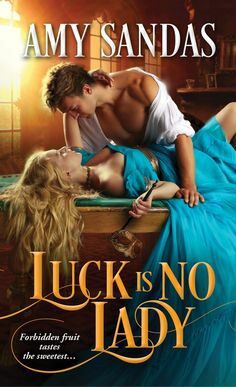 But when her neighbors placed a personal ad for her in the local paper, she never imagined she'd meet Victor Argeneau, a vampire who could have his pick of any woman—dead or alive.Rich, powerful, and drop—dead gorgeous, Victor's the perfect man for a novice neck—biter like Elvi. He's willing to teach her everything he knows, but he'll have to do it fast. Someone's out to put a stake through her new vamp life, and only Victor can keep her safe—and satisfied—for all eternity. When Victor Argeneau is sent to investigate a rumor of a young vampire woman claiming to be wanting a lifemate. As cover he is part of a group of other vampires answering the ad in the paper. However he never thought that he would find his actual lifemate on a mission he council sent him on. Elvi, after being turned a vampire and not remembering how it happened, has little knowledge about it. But when she finds out that her closest friend put a ad in the paper and that there is a group of vampire men out for her hand, so is at a loss, until she meets up with Victor, whom she is drawn to more than any other. She finds out things about herself that she never knew before. Victor having met the beautiful and enticing Elvi, just wants to protect her more from the council than anything. After hearing that she has bitten mortals, and that the whole town seems to know of her true identity, he knows that she maybe be sentenced to die, especially with Lucian at the helm. What he didn’t expect was to fall in love with her and hopes that he can find a way to save her life. I have just loved reading this series, and as I haven’t read Victor’s story, I was happy that I finally got around to it. It was such a fun one to read, with pure wit. I just loved the story line and the characters within this story. Like all of Sands stories and especially this series, they are fun and full of romance and great plots. The Accidental Vampire comes out on top for one of her best stories. Elvi is beautiful, smart, and caring, and has no idea how to really be a vampire. But as Victor shows her the ropes and the rules, she finds herself falling in love with him, which she never expected, but had hoped for. It kept me on the edge of my seat, and flipping the pages as fast as I could read them. Definitely leaves her reader yearning for more romances like this one. LYNSAY SANDS is the nationally bestselling author who is known for her hysterical historicals as well as the popular Argeneau/Rogue Hunter vampire series. With her witty and charming personality, Sands describes books as, “Waking dreams or stories, tales to amuse, entertain and distract us from everyday life.” She’s been writing stories since grade school and considers herself incredibly lucky to be able to make a career out of it. Her hope is that readers can get away from their everyday stress through her stories, and if there are occasional uncontrollable fits of laughter, that’s just a big bonus. Visit her official website at www.lynsaysands.net.